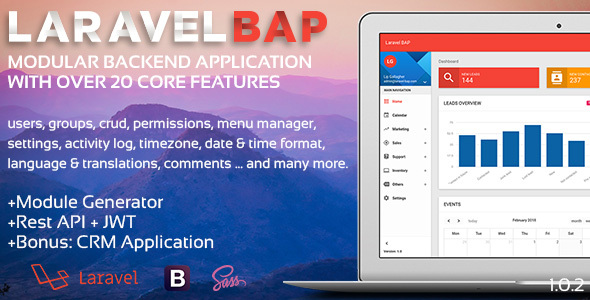 Laravel BAP is a Modular Backend Application Platform build on top of Laravel 5.6, Twitter Bootstrap and SCSS. The software contains over 20 core features, module generator, relations in tabs. BAP is Easy to extend, customize, developer, can build any back-office application with short time.